Wow, I can’t even believe it’s happened. I HAVE A NEW FAVORITE BOOK. It may actually be better than The Miracle Morning (even though The Miracle Mornings is STILL a must-read for everyone). 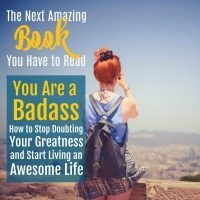 You Are a Badass: How to Stop Doubting Your Greatness and Start Living an Awesome Life is brilliant. 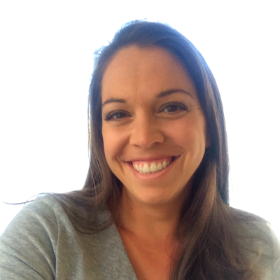 Jen Sincero actually makes self-improvement cool. This book was so amazing that after I read it from the library, I actually purchased it just to have a hard copy to reference. Writing is a fickle thing. Even when you love to do it, you often feel like you have to do it. When you’re inspired and motivated, you can’t type fast enough. 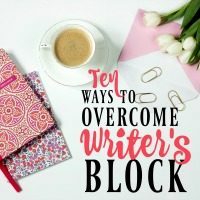 But when you hit that writer’s block or have distractions pulling you in different directions, you can waste a ridiculous amount of time just staring at a blank screen. If you write for a living, that problem can be a really big problem. And not just because you really do have to write. The bigger problem is that if you’re writing for a living, you’ve almost certainly obtained your dream job and you just want to keep it that way! Honestly, I’m not exaggerating when I tell you that blogging may very well be the new American dream. It gives you everything…complete control over your life, your finances, your time. Financial freedom. Career success. Time to parent. Freedom to travel. 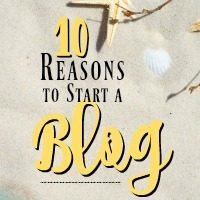 That may be the gist of it, but those reasons really only scratch the surface of why you should start a blog. Having a blog is so worth the effort it takes to make it succeed. It is, without a doubt, the best thing I ever did for my family and my career. And the benefits go way beyond the obvious (that it’s a flexible way to make some extra money). I’m a HUGE fan of self-help books…though not even slightly a fan of referring to them as “self-help books.” So I’m going to call them what they are – motivational books. These are the books that get you so excited in the morning that you achieve way more than you normally do. You have an extra beat in your step. You exercise more, you eat better. You smile more and you sleep better. They literally have the power to transform your life. 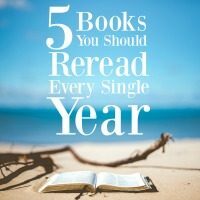 And when they’re that good, you should definitely reread them every single year (which is what I try to do). Back in the day, living the American dream meant finding a great job that let you buy a home, vacation every year, and take care of your family. Nowadays?? What a different picture! For most of us, the American dream now means finding a way to make money from what we love, work anywhere and at anytime, and still take care of our families. And it’s totally possible! I see it happening every single day. So what’s the first step towards achieving this dream? Turn your hobby into a money-making machine. 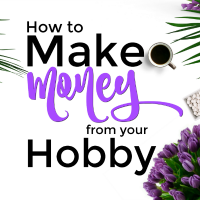 Believe it or not, there are a ton of ways to make money from your hobbies, whether it’s just pocket change or a full-time income. I don’t think there’s ever been a time in my life (at least not in my adult life) where I haven’t been trying to accomplish something. 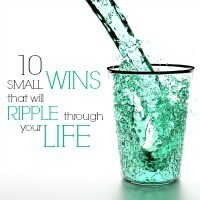 Whether big or small, there’s always something going on – paying down debt, learning new things, weight loss, clearing my head, running more often…the list goes on and on. What if you could look at a picture of your dream life and in an instant it became your reality? It may seem far fetched, but there is tons of research suggesting it’s possible. Not to mention anecdotal evidence coming from some of the world’s most successful people. And once you know how to create a vision board, you’ll be one step closer to living your dream life just like they are. Vision boards have a simple but amazing concept. If you visualize the life you want, then you’ll ultimately obtain it. They’re an amazing source of inspiration and motivation for basically any goal you could possibly have. 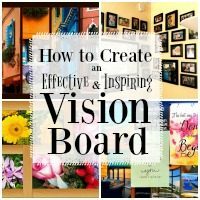 Here is how the classic vision board works: You gather pictures that embody the life you want to have and you create a collage of the images on a bulletin board. You should spend time looking over your vision board at least once a day and voila! You’ve got instant inspiration to achieve your dreams.